Imagine lying on the beach with pristine Emerald Coast waters at your feet. Now take that image and combine it with ultramodern cuisine, exciting entertainment, and luxurious amenities, and you’ll have Miramar Beach. 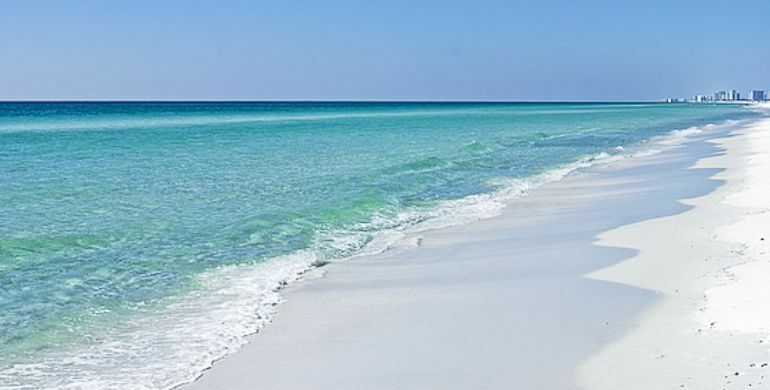 Immaculate white sand beaches, beach-side resorts, local cuisine, and surf shops dotting the shores all make Miramar Beach the perfect place to escape and unwind. Miramar Beach is where people go to find the perfect combination of family living and fun in the sun. The Silver Sands Premium Outlets make shopping easy while the Village of Baytowne Wharf will keep the entire family busy throughout the year. From cozy boutiques and galleries to zip lines and energetic festivals, the Wharf is always lively. 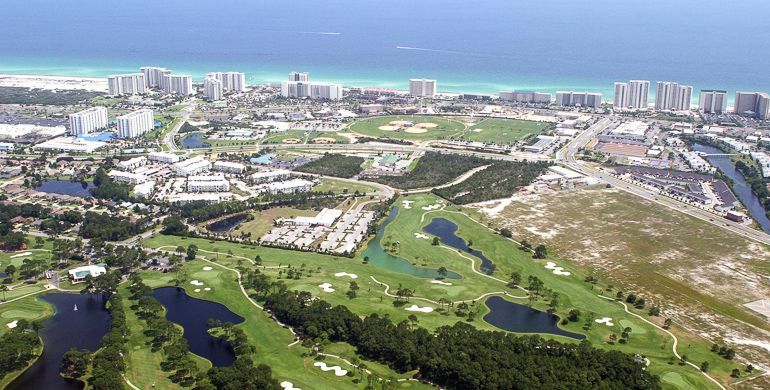 Golfers love relaxing at the award-winning Sandestin Golf and Beach Resort while the kids can try their hands at mini golf at The Track Recreation Center. 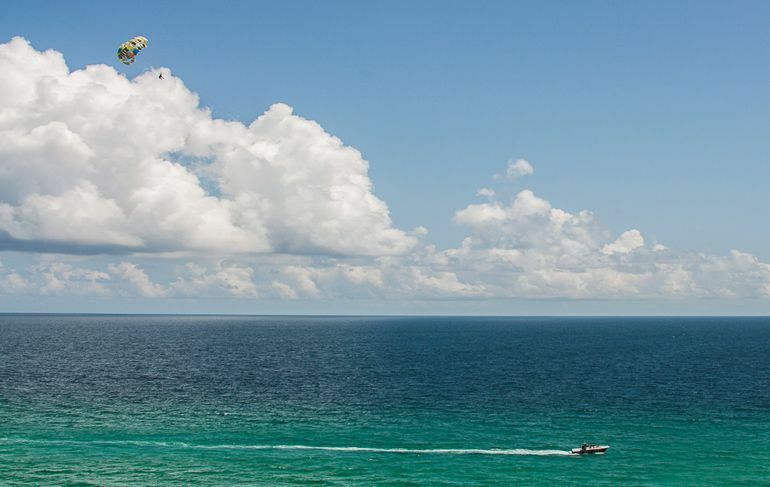 No matter what you enjoy, Miramar Beach has something for everyone. From breathtaking coastal cottages with spacious layouts that will accommodate the entire family, to tidy condominiums for one, Miramar Beach wants you to call it home. Modern condominiums offer all the amenities you want in a closed community including private pools, fitness centers, and easy access to the beach. Many of the current homes for sale feature open floor plans, mature trees, and finished outdoor living spaces. Luxurious new construction homes and condos that feature contemporary finishes, state-of-the-art technology, and smart appliances are also available. Enjoying the warm air and the gorgeous beaches are only the beginning. Miramar Beach is also the perfect place to enjoy a lively day and nighttime, art galleries, and activities for the family all year long. Food & Fitness. Enjoy some after-hours fun and food at Graffiti & The Funky Blues Shack where the food is filling and the drinks are refreshing. Fitness enthusiasts will love the challenge of the 40-mile Winter Solstice Run. If you’re not committed to the whole 40 miles, you can try for 20 miles or a 10-mile relay. History Revisited. History buffs will enjoy the frequent presentations at the Coastal Branch Library that cover everything from the Civil War to pirates in the Gulf of Mexico. Getting Acquainted. Newcomers to coastal living can learn the basics of sand castle construction at Beach Sand Sculptures so they can look like veteran builders. Or stop into Antiques on Holiday to see what’s new in their continually rotating selection. Festivals and Events. Miramar Beach is more than just a tourist destination; it’s a thriving community of people that love to call it home. The summer months bring farmers’ markets and beach parties while the winter months bring holiday celebrations like the Festival of Trees and fireworks on the beach for New Year’s Eve. Arts & Entertainment. Kids in grades 3 through 8 can enjoy creating in a variety of materials at the Art Club hosted by the Coastal Branch Library. Studio by the Sea lets you try your hand at painting. Or, drop in to Fusion Art Glass and Justin Gaffrey Art to see what others are creating. Beach Living. Jet-ski rentals and parasailing await the adventurous while sugar-white beaches await the umbrellas and lounge chairs of the more subdued. Surf shops dot the landscape, and beachfront roads await joggers, casual strollers, and everyone in between. Whether you’re looking for a second home to escape cold winters or searching for the ideal location to raise your family year round, Miramar Beach has a vibrant community that works hard to make sure it’s a great place to live – full or part time. Everything you need is here: delectable seafood, world-class cuisine, fun and games for the kids, and long walks on the beach. What are you waiting for?